Kansas native Stewart Michael Bishop has been studying poker rules since he checked out “According to Hoyle” at age 6 from the library. Nearly 50 years later he’s still at it. 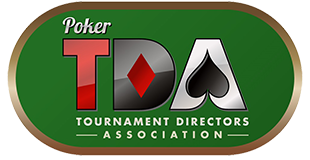 Since 2005 Mike has co-managed the Poker TDA Discussion Forums answering 100’s of rules questions from TDA members worldwide. He has served on the production teams of the 2009, 2011, 2013, 2015, and 2017 Poker TDA Summits. 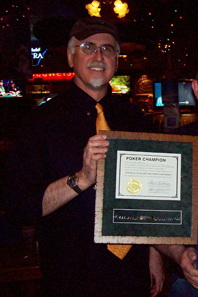 Mike began managing poker events in Florida in the 1980’s while attending business school. After graduation he spent 13 years in commercial real estate in Florida and 12 years as a securities trader in Chicago. Always interested in the gaming industry, Mike first obtained a Nevada gaming license in 1991, promoting junkets between the Sunshine State and Las Vegas for the Flamingo Hilton. Disappointed with the Chicago poker scene in the mid 1990’s Mike started Chicago Poker News as a means to network players. His poker organizations in the Windy City now total over 2000 members. A popular lecturer on the Chicago financial scene, he has published a stock market timing letter since 2001 appropriately titled Full House Trader. Mike has found that success in any form of speculation, be it poker or financial trading, has common requirements including:1) patience; 2) money management; 3) betting on situations with attractive risk/reward; and perhaps most importantly, 4) cutting losses early. Today Mike directs a series of city, state, and regional poker championships in 7 states in the Central U.S. His events often feature traditional games like No-Limit 5-Card Stud, Kansas City Lowball, and No-Limit Mixed Games which he enjoys introducing to a new generation of players. “I find that younger players love these games once they get the hang of them”, he says. “The best advice I can give a Hold’em player starting out is to cross-train by playing other games”. Mike sees mixed game events as an area of untapped expansion potential in the poker tournament industry. He’s also actively involved helping charities utilize the tournament as a fundraising platform. Mike divides the majority of his time between Chicago and Greater Kansas City. He holds a B.A. in General Business and an M.B.A. in Finance and Economics from the University of South Florida and Bachelor of Science (with Honors) and Master of Science degrees from Washburn University. He is a board certified Family Nurse Practitioner.